In my world, strawberry shortcake means and says summer: it brings to mind hot summer days with picnics, barbecues, 4th of July celebrations. 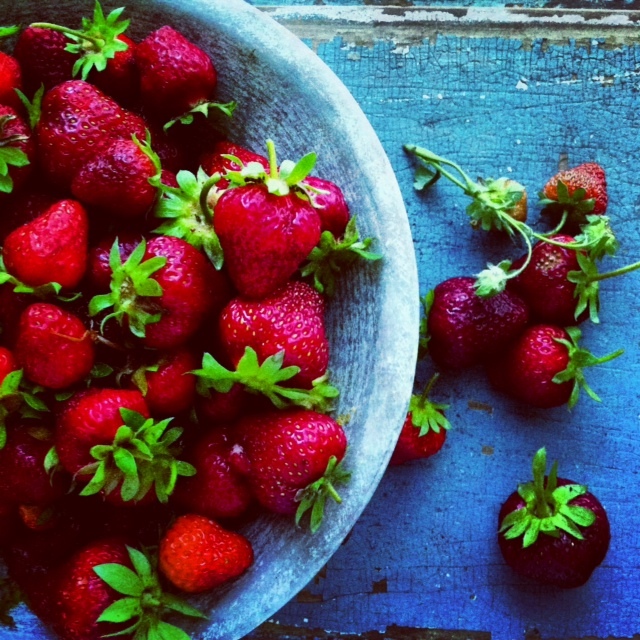 There is nothing like the taste of a strawberries freshly picked from the garden or the local farm stand: they are small, plump, red and have the sweetest smell. The beauty of strawberry shortcake is that from one party to the next it will taste different according to how the host flavors the strawberries, the whipped cream and what biscuit recipe is used. I have yet to meet a person who does not like strawberry shortcake. Here is my version … Happy 4th of July! Half hour to 45 minutes before you will serve dessert, mix the strawberries and the syrup. If you do not have the syrup, mix the berries with 3 tablespoons of sugar and one tablespoon of vanilla extract. Let sit. BAKING POWDER BISCUITS (makes about a dozen) I get my recipe from Martha Stewart’s Baking Handbook. Preheat the oven at 400 degrees. in a large bowl. 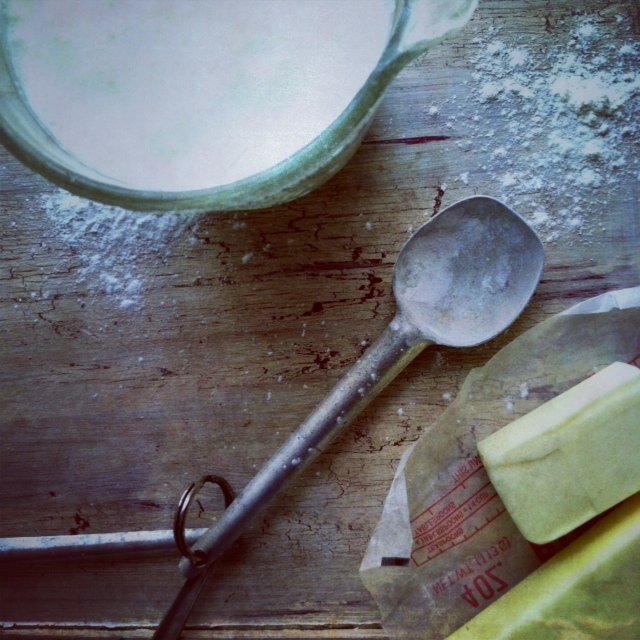 whisk together the flour, baking powder, sugar and salt. 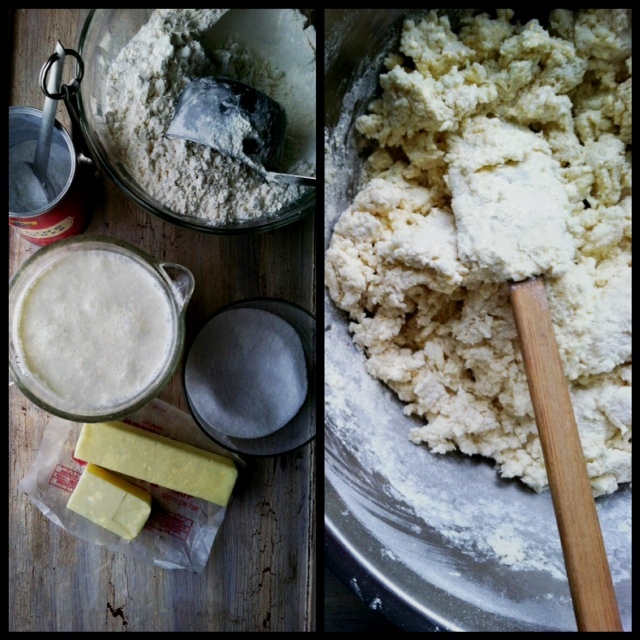 Using a pastry blender, cut the butter until the mixture resembles coarse crumbs with a few larger clumps remaining. Pour in the heavy cream; using a rubber spatula, fold the cream into the dough, working in all directions and incorporating crumbs at the bottom of the bowl, until the dough just comes together. The dough will be slightly sticky. Turn the dough into a lightly floured surface. With floured fingers, gently pat the dough into a round about 1 1/4 inch thick, pressing any loose bits. Do not overwork the dough. 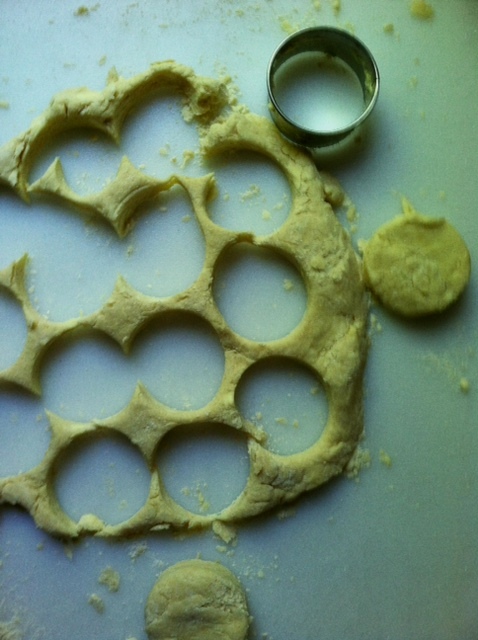 Use a floured 2 1/4 inch round biscuit cutter to cut out the biscuits as close as possible, using one cut edge as the edge for the next biscuit. 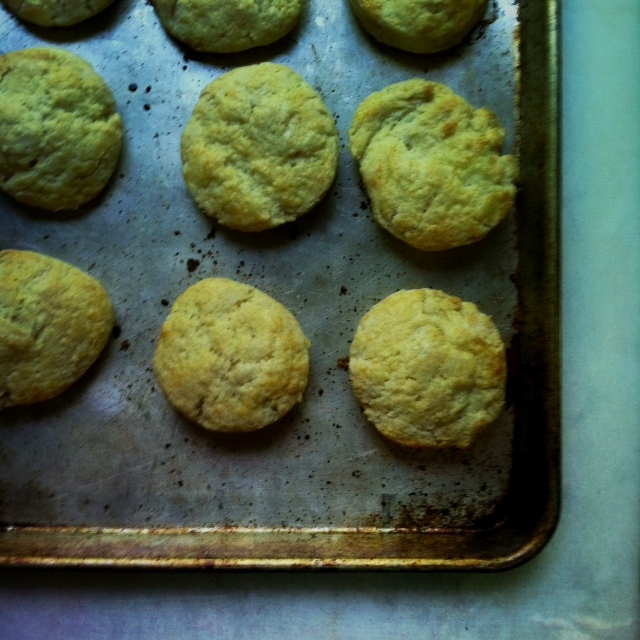 Place the biscuits on an unlined baking sheet about 1 1/2 inches apart. Before baking, brush rounds with the egg wash and sprinkle with sugar if desired. Bake, rotating the sheet halfway through, until the biscuits are golden and flecked with brown spots, 20 to 25 minutes. Transfer the biscuits to a wire rack to cool. In a large bowl whipped the heavy cream until soft. Slowly mix in the rest of the ingredients and beat until a bit more soft but not stiff. 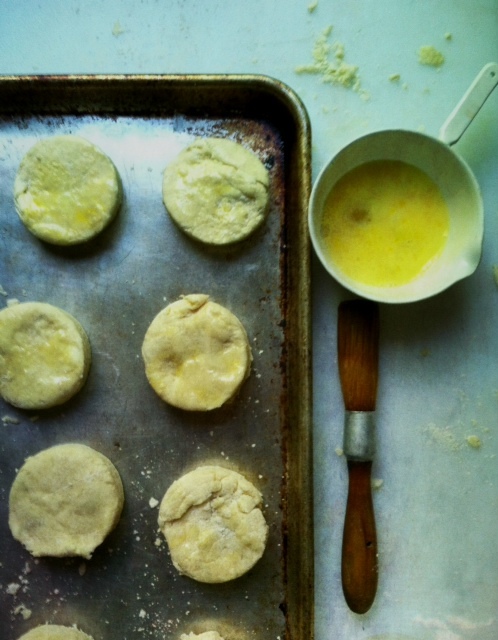 When ready to serve, split the biscuits in half horizontally with a serrated knife. Place the bottom part of the biscuit on a plate, spoon a dollop of the cream, spoon some strawberries and accumulated juice and cover with the biscuit top. Serve with remaining cream and strawberry mixture. NOTE: If you do not have a biscuit cutter you can use a glass but make sure to do a clean cut without twisting the glass in the dough as it will stop the biscuit from rising when baking. 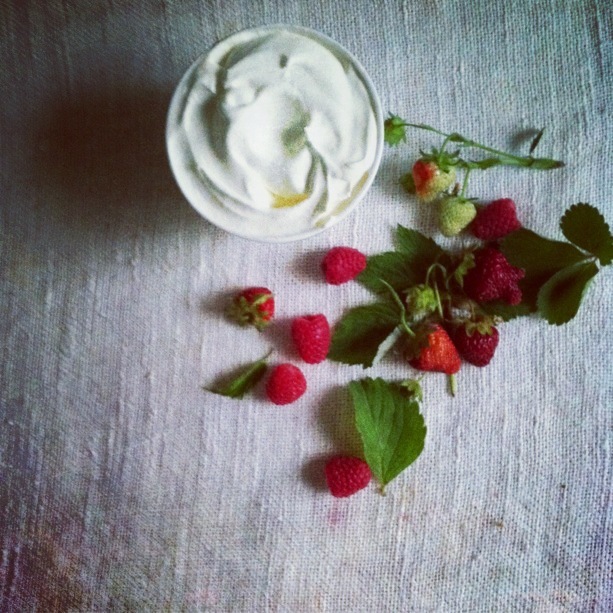 This entry was posted in dessert, Recipes and tagged 4th of july dessert, comfort food, dessert, flavored whipped cream. 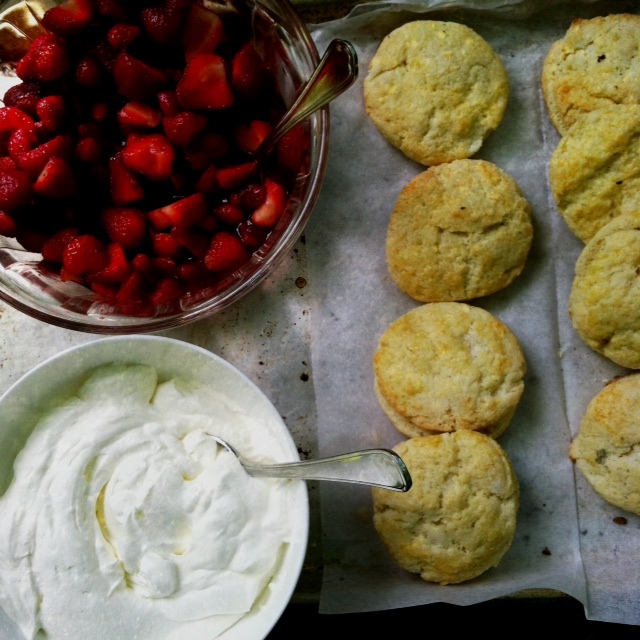 american dessert, Martha Stewart biscuits, strawberries, strawberry shortcake, vegetarian by catrinekelty. Bookmark the permalink. What a beautiful picture of the strawberries. Makes me especially sad that ours are gone for another year.